Are these reels bewitched? 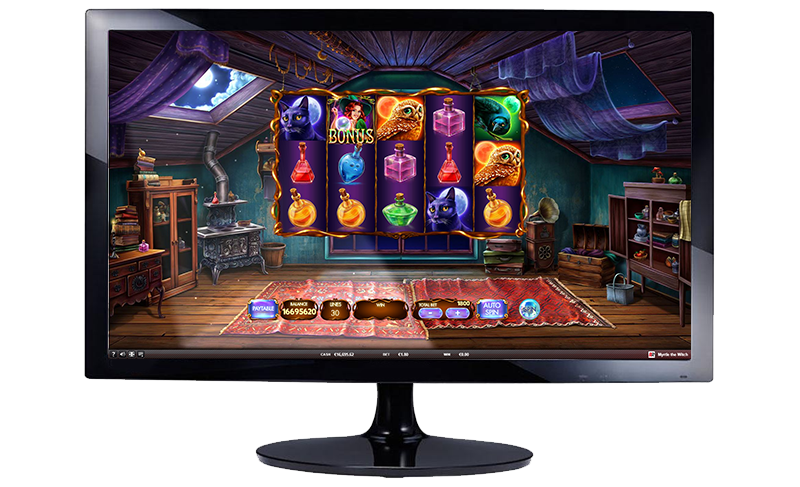 Discover the great wins behind the Crystal Balls Mystery Symbols in this 5x3 reel and 30 paylines slot. 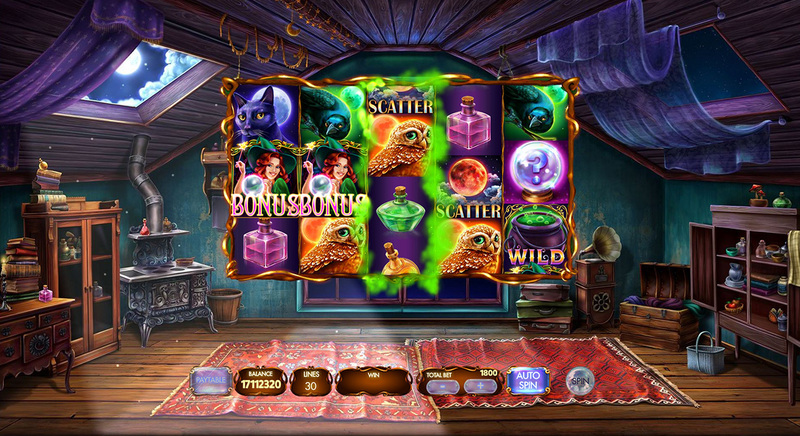 Get free spins, multipliers and direct wins in the 'Magic Cauldron Minigame' and qualify for the 'Free Spins Bonus Feature' where Myrtle will enhance your luck with her magic spells. 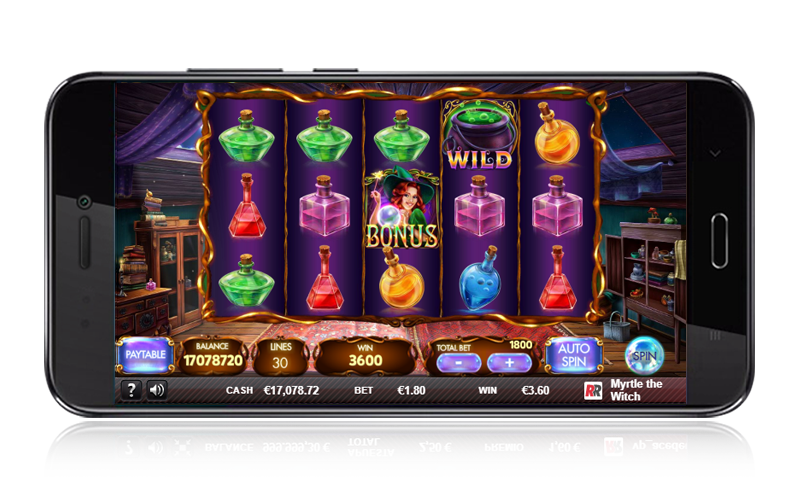 Scatter Symbols, up to 5x your bet. 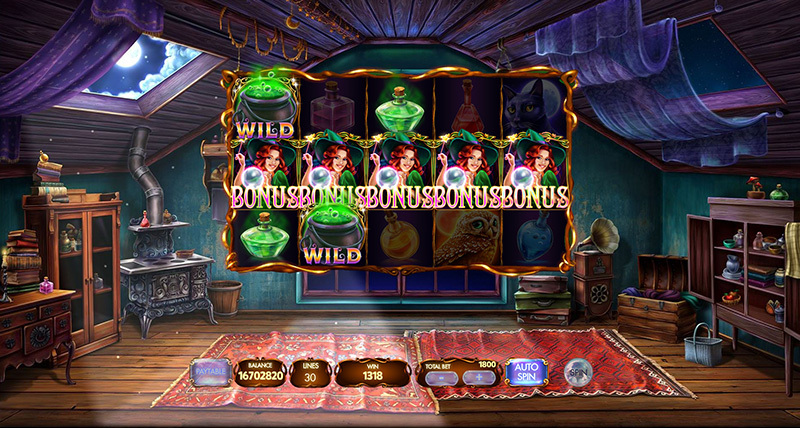 The 'Magic Cauldron Minigame' will be enabled when 3 to 5 Bonus symbols appear on different reels. 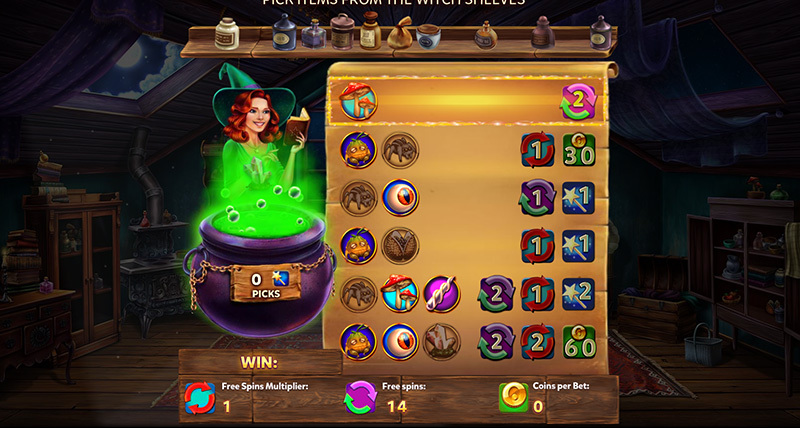 Pick items from the Witch's shelves to get coins, more picks, free spins and multipliers for the 'Free Spins Bonus Feature'. 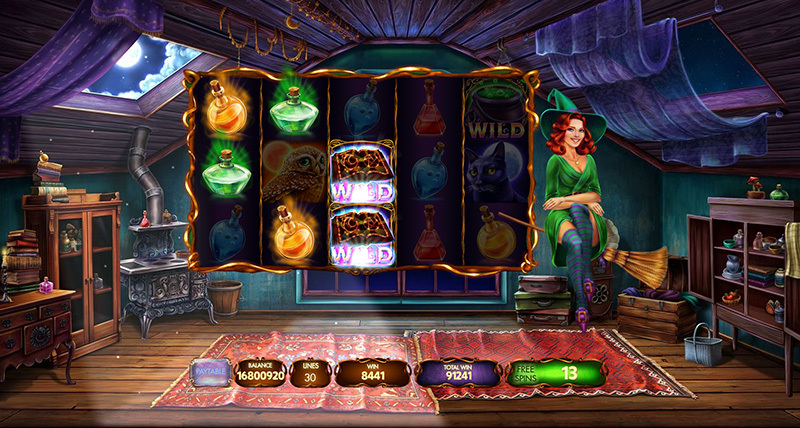 During the 'Free Spins Bonus Feature', Myrtle the Witch will randomly change the symbols on the reels to 'Wild Spellbook' symbols, increasing the possibility of greater wins. 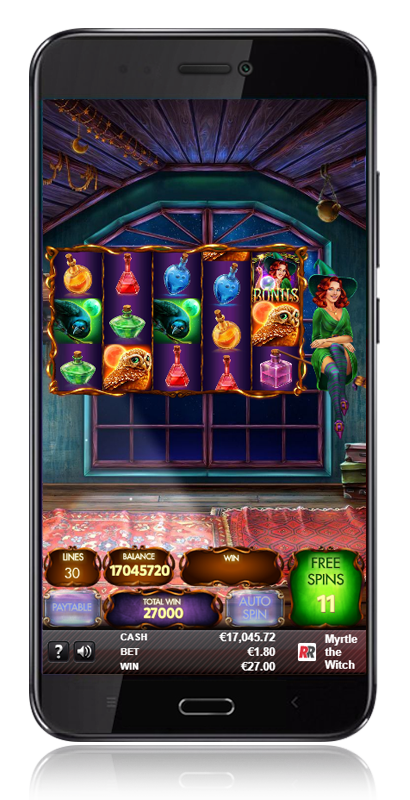 Discover the bonus hiding behind the 'Crystal Ball' symbols. 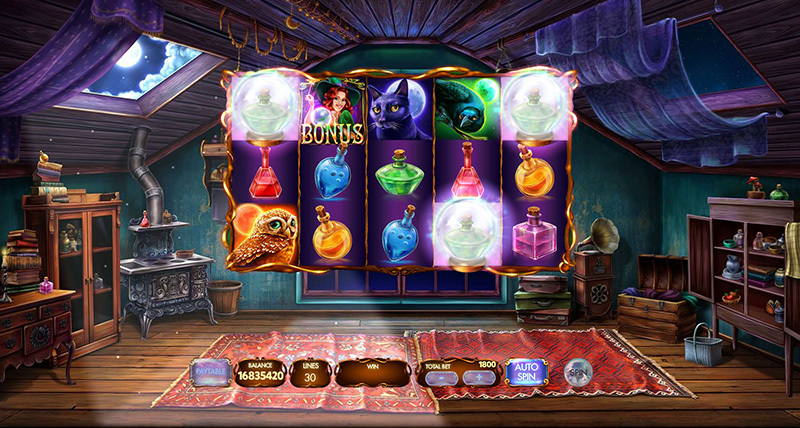 Discover the symbol hiding behind the 'Crystal Ball'.